This is my brother Taylor (16),my Mom Pam and brother Casey (22). 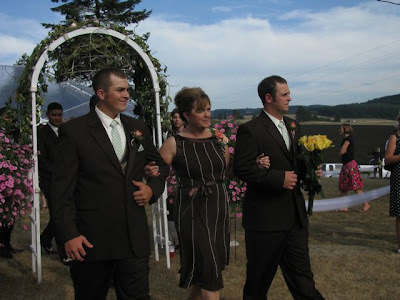 They Looked handsome & my Mom looked so pretty! Her dress, hair and shoes looked so Perfect...Like she was meant for it! 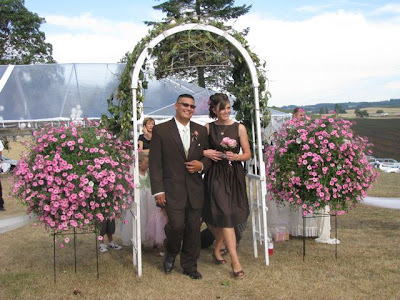 The Wedding was magnificent and couldn't have been any better!! and Queen together Highschool ~ 2000. 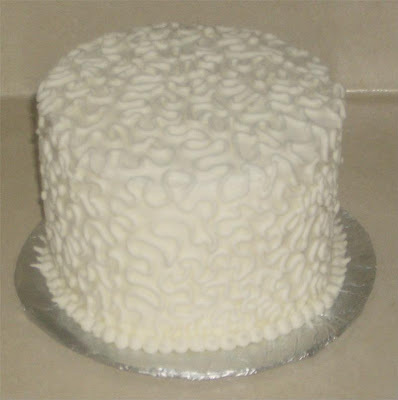 The cake Looked sort of like this but 2 teirs an 8" and a 6" on top. And the bottom frosting was huge dots instead of small ones. Looked Like a chunky pearl necklace.